BAT - BLOG : BATMAN TOYS and COLLECTIBLES: We're Inviting YOU to Come Join the Official BAT-BLOG.COM Batman Fan Facebook Page!! We're Inviting YOU to Come Join the Official BAT-BLOG.COM Batman Fan Facebook Page!! HEY KIDS! 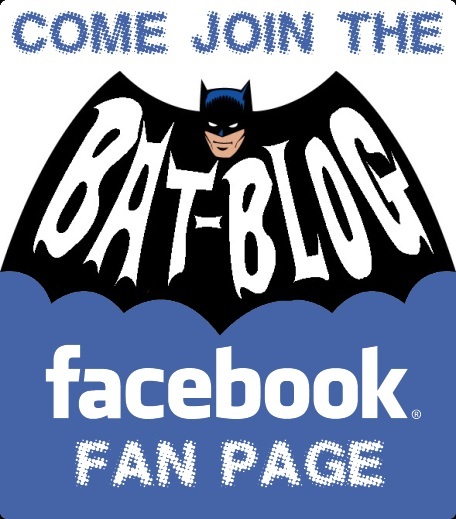 Are you a Facebook Member AND a Fan of the Batman Bat-Blog?! Well, if so, then we want to invite you to come join us over at our Facebook page. The site is updated all the time with current information related to the Batman character and events. It's also a ton of fun and a great way to meet other people who love the Caped Crusader! So, please join today! Just CLICK HERE! !